The milkmaid put a bucket beneath the cow and began to milk it. The mechanical digger has a long arm with a bucket on the end that scoops up the earth. We drew a bucket of water from the well. Ben cried buckets when his girlfriend broke up with him. My father was bucketing water up from the well. Well, we can't go on that picnic; it's bucketing down! kick the bucket: die. Example: “Did you hear about the old guy down the road? Apparently he kicked the bucket last night.” It is thought this saying comes from an unrelated meaning of bucket, as a beam that things, often slaughtered animals, were hung from. 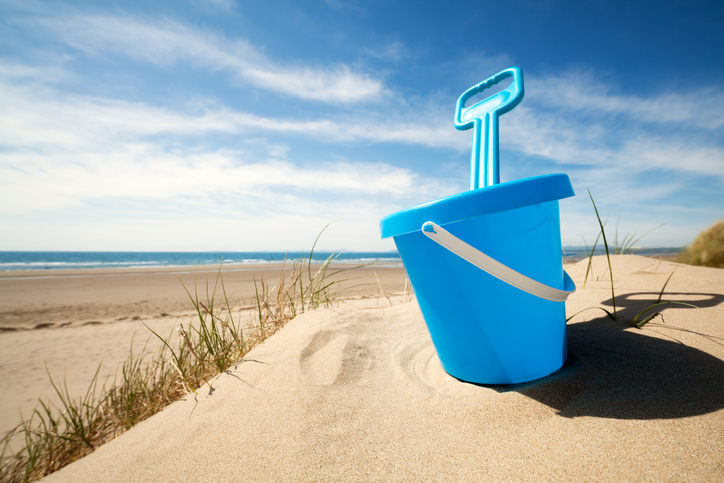 bucket seat: a seat in a car or plane that is contoured and designed for just one person, rather than a long bench seat. You might not readily see a connection between politics and buckets, but the world of British politics can be rather strange. Although most elected Members of Parliament come from one of the major political parties in the UK, that doesn’t stop independent candidates from challenging them, and some of those independent candidates are a little eccentric. One who attracted international attention in the recent UK General Election was a man who stood against the British Prime Minister, Theresa May, in her constituency seat of Maidenhead. 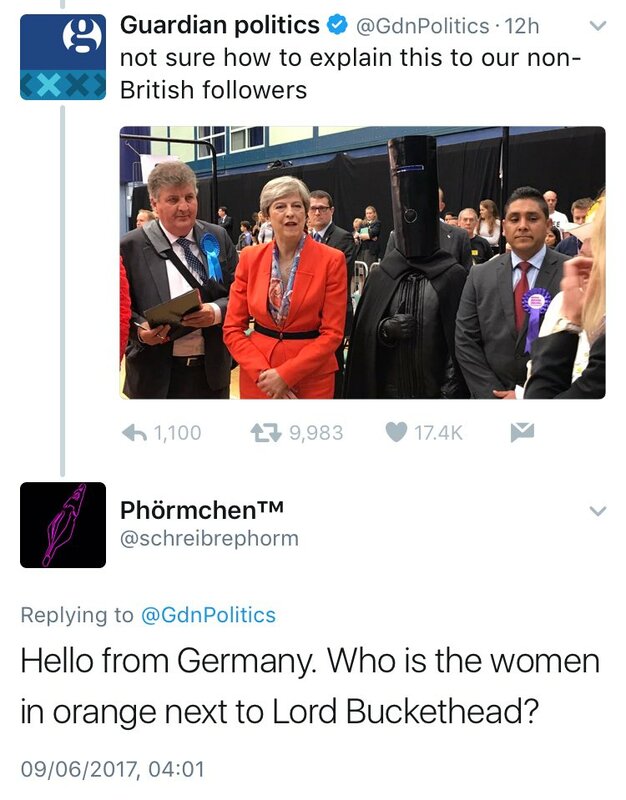 The gentleman in question calls himself Lord Buckethead and was, indeed, wearing a bucket on his head, as you can see in this picture tweeted by UK newspaper, The Guardian: (for anyone who is unsure, the woman in orange, standing next to Lord Buckethead, is Theresa May).